On February 5, the online naval defense magazine Navy Recognition (part of a group of similar online publications registered in Belgium), made a vague reference to certain plans China has for its “military and foreign policies”, reporting the sensational news, which quickly became the subject of comments in international media. And it is no wonder the news article has caused such a reaction, seeing as it reports the possible sale of what is currently China’s only existing aircraft carrier, Liaoning, to Pakistan. Liaoning is a unique combat naval platform, of which there are only around a couple of dozen in the world. Half of the largest and most effective of these ships (the ones which can actually be called real aircraft carriers) are owned by the United States Navy. This forms a significant basis that allows America to maintain its control of the world’s oceans. Some passages in the article and comments on the news it delivers are noteworthy. For example, the part that addresses the need for China’s ally Pakistan to “compete with India” in terms of the country’s military power at sea. Reading the comments from Navy Recognition and other publications, it becomes clear that this is not just another act of buying and selling military assets; this not the latest in a long series of numerous sales that have characterized China-Pakistan relations over the past few decades. The (hypothetical) sale of the Chinese aircraft carrier to Pakistan touches on key issues in the nature and development of the political game in the South Asia subregion (an important component of the Indo-Pacific region), and brings the strategies of its major players into focus. These include China, Pakistan, India, and of course the United States. In the author’s opinion, the existence of this “fake news” is one of the manifestations of a renewed Chinese-American struggle for Pakistan. After all, it appears that by “leaving” Afghanistan, Washington wants to “return” to Pakistan (which Beijing will oppose). However, before continuing on the topic of place where the deal has been made with Liaoning (once again, this is hypothetical), it is worth recalling some factual information regarding this aircraft carrier. The ship was developed by thoroughly modernizing the (uncompleted) former Soviet aircraft carrier Varyag, which Ukraine had inherited following the collapse of the Soviet Union. At the end of the nineties it was sold to China for a symbolic amount, refitted, and at the end of 2012, the ship was incorporated into the Chinese Navy and named after one of the country’s north-eastern provinces. The primary main armament of the aircraft carrier is a group of 24 J-15 fighters, which are an upgraded copy of the Russian Su-33. Despite the fact that the characteristics and fighting potential of Liaoning cannot compete with any of the eleven modern American Carrier Strike Group flagships (nuclear-powered with deck catapults), its arrival in the Chinese Navy indicates that China’s military industrial sector has completed an important step on its path towards rapid development. The main objective of the modernization program and making Liaoning operational was to gain experience in developing and subsequently operating a completely new and extremely complex warfare system. This experience is being applied in the design and construction of a series of new aircraft carriers, the second of which (practically the same type as Liaoning) is now in the sea trial phase. According to the plans that were announced ten years ago, 4-5 more “real” aircraft carriers will have been built by the end of the 2020s. Their performance characteristics will be brought into line with the latest American ships in this class. However, Liaoning is not just being used as a place to experiment, but also participates in flag demonstrations in extremely important areas of the World Ocean for China. The most notable event was a “cruise” around Taiwan (with access to the Pacific Ocean through the Miyako Strait in the Japanese Ryukyu archipelago), completed at the end of December 2016, where a squadron of Chinese Navy surface ships was headed by the Liaoning. The message of this demonstration was mainly directed towards the USA, Japan and Taiwan. American military planners have been sent the message that it will not be possible to confine the Chinese Navy to coastal waters, limited in the East by the so-called “First Island Line”, which includes the very same Ryukyu archipelago and Taiwan, as well as the Malay Archipelago. The message addressed to Tokyo essentially demonstrated that China is prepared to compete with Japan precisely for the control of coastal waters, including parts of the Sea of Japan and the Yellow Sea, the Taiwan Strait, as well as both the East and South China Seas. Ms. Tsai Ing-wen, who had been elected President of Taiwan in May of that year, was given a signal that she should not get involved in any political games for the Island to gain independence from China. The weight of all these messages was mainly induced by having the Chinese Navy’s first aircraft carrier lead the squadron of Chinese ships that raised the flag in the Western Pacific Ocean. As for Pakistan, the sale of this ship may not happen now or in the coming years (if there really is any deal). Again, China still only has one aircraft carrier of its own. A second carrier will hardly be ready to join the Chinese Navy before the end of 2021. As previously mentioned, China only anticipates to develop a number of modern aircraft carrier strike groups by the end of the next decade. 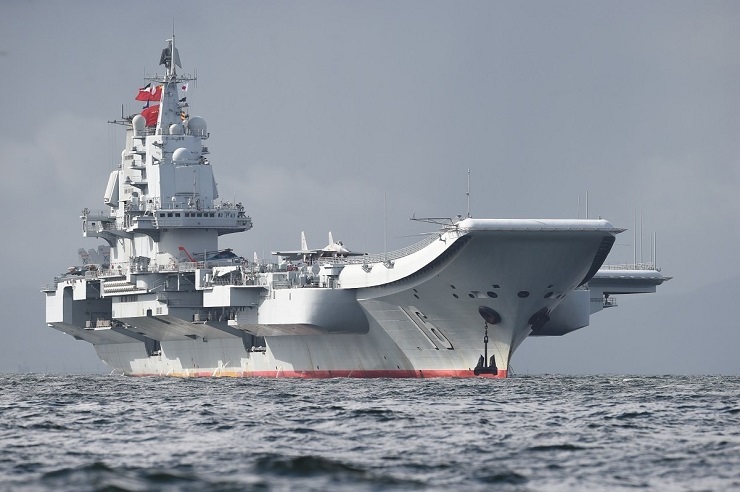 In the meantime, Liaoning will serve its main function, allowing China to gain experience in designing, constructing, operating and (hopefully nothing more serious than simulating) the tactical use of the extremely complex system of weapons that the aircraft carrier represents. Moreover, the ship will be in full working order, given that the Liaoning has only kept its body from Varyag, while all of its systems (including the propulsion system) are new. This means that by some stage in 2030, the carrier really could be sold to the country which has expressed an interest in it. Meanwhile, the “fake news” is yet to be met with an official reaction from Pakistan. Moreover, it would be strange if there were to be any reaction, given the severity of the problems the country is currently faced with. Given the situation in Pakistan, it would be ridiculous for the country to release an official response to talk of a (undoubtedly expensive) project, which could not feasibly be examined or implemented within the next 10 years. 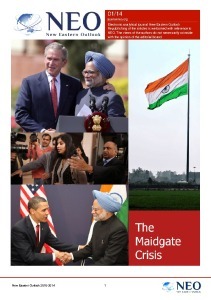 Parallels can be drawn with something similar that happened over a decade ago in India. Towards the end of the noughties, the United States decided to run with the Indian Navy’s project to purchase the Soviet aircraft carrier Admiral Gorshkov (the same type as the Varyag). The ship was then undergoing a difficult and lengthy upgrade in Russia, and in the end the carrier was eventually renamed INS Vikramaditya and commissioned into the Indian Navy (with characteristics similar to the Liaoning). In the midst of Pakistan’s difficulties, the United States has offered New Delhi a “real” aircraft carrier, the Kitty Hawk (at no cost). Following some uncomplicated deliberation, the proposal was rejected. This was not even for any political reasons, which occupy an important place in India’s military and technical cooperation. A crucial role was played here by simple pragmatism. India simply does not have the necessary logistics to service warships of this size (Kitty Hawk is one and a half times larger and immeasurably more complex than INS Vikramaditya). Apart from that, India did not have a team of 6,000 sailors with the necessary qualifications at its disposal, and it turned out that the offer was not in fact free of charge. This is because the cost of the 80 different types of deck aircraft for the Kitty Hawk aircraft carrier (launched in 1960) alone was more expensive than the ship itself. It is quite likely that the leadership of Pakistan will point out similar issues, if the project to sell the Liaoning turns out to be more than just a news sensation. On top of these considerations is the fact that one Pakistani aircraft carrier will not be enough to counterbalance the rapid growth of the Indian Navy’s potential. At the same time, the acquisition of a token ship would burn a hole in the coffers of Pakistan’s Treasury. Yet another hole would appear in the country’s pockets. In general, the fact that the very thought of selling the Chinese aircraft carrier to Pakistan has been entertained illustrates how extremely difficult the situation in the Indo-Pacific Ocean region really is. 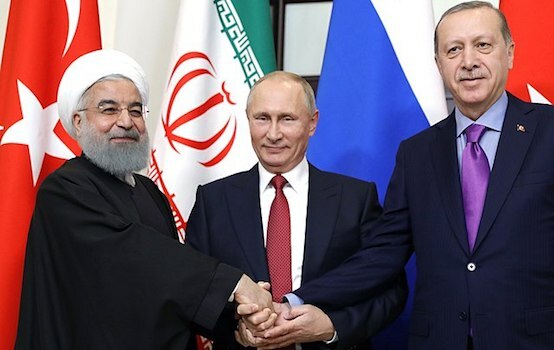 On the one hand, this very region is already the engine that is driving the development of the world economy, and over time the role this region plays in it will only increase. On the other hand, recent years have seen the fastest pace of militarization in the Indo-Pacific, both in quantitative and qualitative terms. Both trends are in parallel, and the question of which of them will prevail remains unanswered for now.